If you’ve lived in Miami for any period of time you’ve undoubtedly experienced being towed from private property. Maybe you parked your car and went to Publix and then walked to the restaurant across the street for a couple of minutes to pick up the take-out you ordered, only to find your car on the back of a pickup truck upon your return. Or maybe you’re an Uber Eats driver, making a 3 minutes delivery, only to see your car disappear before you make it back. Whatever the case may be, know that you’re not alone. These predatory towing practices happen every day in Miami, and they are often illegal. These companies want you to believe that if you accidentally overstayed your parking, or did not see the hidden “Tow Away” signs you’re SOL. But did you know that despite what the tow truck companies tell you, you have rights? Most States and municipalities have laws in place to regulate the illegal and predatory towing practices that towing companies are well known for. Because of this, even if you accidentally overstayed your parking, or did not see the Tow-Away signs, you may be able to get your money back. Miami Dade county is no different. A Florida Statute, as well as Miami Dade county ordinances regulate towing in Miami Dade County. The Florida Statute sets a minimum threshold of rights, while the Miami Dade County and City ordinances add an extra layer of protection to the consumer. If the tow truck driver is in the process of towing your car when you return to your car, the driver has to release your car for 50% of the maximum towing rate. In Miami Dade County the maximum towing rate for a Class “A” (most regular cars) tow is $101.00. This means that in these cases you’re entitled to get your car back for $50.50. If you’re towed in Miami you have the right to have access to your car to retrieve your paperwork, even if you have not paid to have the car released. Before you can be towed from a private lot in the Miami, the tow truck operator is required to have a written directive from the owner or authorized representative of the property owner to tow your particular car. This means that the act of patrolling a lot looking for violations is illegal. Note that this only applies during the hours of operation for the business that owns the lot. Also, in order for a tow company to be able to tow your car the company needs to have a written agreement with the owner of that lot. A tow company is required to get you an itemized receipt once you pay to get your car back. If you’re a victim of illegal towing in Miami you should know that the county and the city are not going to be of much help. For decades these towing companies have been carrying out illegal tows in Miami. The behavior is so common and widespread that city and county officials that we’ve dealt at times don’t even seem to know that it is illegal. But, but, the Police will certainly help me, right?!? Unfortunately, the police will not help you. If you are towed in Miami, the police will say that whether you were properly towed or not is a civil dispute. They will say this even though a lot of towing violations that happen in Miami are actually criminal offenses in nature. 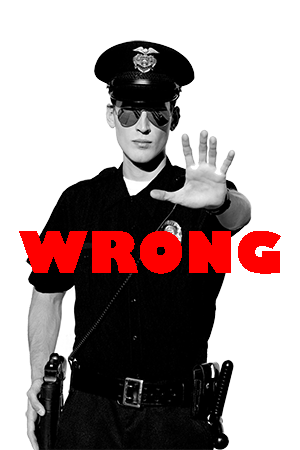 Simply put, the police believes it has better things to do than keeping the towing companies from stealing your hard-earned money and holding your car hostage. If you are towed in Miami, you should pay to have your car returned to you as soon as possible. This is because the longer the car stays at the lot, the more money you’ll need to pay them to get it out. If the tow was an illegal tow, you’ll be able to fight it later on. There’s no reason to leave the car in the tow lot. Tow truck companies will try to charge you for things that they are not allowed to. They do this because they know that most people feel that they are in a hopeless situation and have no real remedy. They also do this because they know that some of these charges are hard to disprove. The tow truck companies will try to bully you by telling you anything that they can to discourage you from fighting the tow. Many of our clients have been told by tow truck operators that they have lawyers on retainer, that they will win in court regardless, that you won’t hire a lawyer because it is too expensive, and many other things. Do not fall for those claims. The reality is that very often these companies are operating illegally. Because of that, you are very likely to win in court if you have a good lawyer. Hiring a lawyer will also not cost you any money. This is because we handle these cases on a contingency fee basis. Meaning, you do not pay us anything out of pocket for us to handle your case. While these signs do not always indicate illegal towing in Miami, in our experience they are a good indicator that something is wrong. If you experience any of these, keep your eyes open and document as much as you can. The tow truck company tells you that they only accept cash. The lot where you were towed from had no signage warning you that you could be towed. The tow truck company refused to give you a receipt. The tow truck company damaged your car, but claims it didn’t cause the damage. Your car is towed within minutes of you parking. The tow truck tows your car, even though you’re inside of it. What Should I Do If Towed In Miami? Take photos of all the entrances of the lot from which you were towed. This evidence will be very important later. Take photos of the payment machine in the lot, if there is one. Pay to have your car back as soon as possible. Make sure that you get, and keep, the tow receipt. After you’ve done the above, give us a call at 305-501-8021. We are on a mission to eliminate these illegal towing practices one case at a time. If you’re interested to know more about our crusade to crush illegal towing and booting practices in South Florida check out our article.